This is the text of Bellofiore’s lecture at the 2006 Historical Materialism conference. It gives an overview of the Italian marxist tradition known as operaismo and some of its core writers. Workerism is, also because of generational issues, part of my legacy, the air I breathe since my first years in politics. It is interesting to understand why the best of my generation cannot but be deeply influenced by ‘workerism’, by ‘operaismo’ and I’ll try to make this clear in the following. At the same time I think that this imprinting has to be broken because it is my idea, my impression, that the degeneration of the post-workerist literature has its roots deeply in the workerism of the Sixties. What were the strong good points of workerism, of operaismo? I think they are fairly clear from Tronti's talk. If you put yourself in the Sixties, early Sixties, the strong points were of course the critic of the stagnationism affecting the Italian traditional left but not only, unable to explain the Italian capitalist boom, the modernization, the following struggles, but more than that I think that workerism (especially Tronti) was able to stress in a novel way the duality between labour power and working class as the key dividing line against the second and third international Marxism, almost all those who were rooted in this tradition were in fact proposing an economicistic and passive view of the working class. So this workerism was able to propose a new view of crisis as social crisis against the mechanical view of crisis within the tradition of Marxism (the tendency of the rate of profit to fall, the realization crisis, and so on). Of the workerism of the Sixties, Tronti is not only the key figure but the central figure in the decade. He can be understood only if you have in mind before him Raniero Panzieri and after him the writings of Toni Negri in the late Sixties. Panzieri, the director of Quaderni Rossi actually had two faces in this thought, I’ll only highlight one point in the first face which was again something crucial for the new generation. Here I refer to the stress on the non-neutrality of production forces and machines. Of the second face of Panzieri’s thought (we are talking of the years from '61 to '63-64, so a very brief span of time), in the second face the key-notions were the novel category of plan of capital, the idea that total capital was able to planning not only capitalist development, but also society (this of course means, again, a strong criticism against traditional left because it is clearly a criticism of really existing socialism, of the idea of socialism that is simply the ownership of the means of production plus planning). A second point I want to stress of the second face of Panzieri is the method of enquiry. Workers require to be known by an analysis, which is partly independent from the analysis of capital. If it is true for Panzieri that the limits to capital are not objective, the limit to capital must be found in workers, but not as an internal integrated section of the factory but because of the political nature of workers struggles. This is more or less the starting point of Tronti that breaks with some points in Panzieri and develops others. In Tronti too there are, in my view, two faces and more or less both are embodied in the writings included in Operai e capitale (not “Labour and Capital”, but Workers and Capital). In the first face, Tronti is very clear and this is an absolute novelty, on distinguishing in Marxism two sides: Marxism as the science of capital and Marxism as revolutionary theory. Marxism as the science of capital looks at workers as labour power. Workers as labour power in this view are completely integrated within capital. This side is the side from which Marxism can be seen as a theory of economic development; this side is the side in which labour power is seen through the capital's spectacles. The other side, the side of Marxism as a revolutionary theory, is the side that looks at workers as working class. Workers as working class refuse politically to be integrated. This side of Marxism is Marxism as the theory of the political dissolution of capitalism. It is capital seen through the working class's spectacles. This is the first face of Tronti. These two dimensions, in my view, in the first face of Tronti, are not really linked to one another. The second face links, integrates, unifies these two sides with the famous idea, which was then taken up again by Negri, according to which capitalist development must be deduced from workers struggle; first there is labour power, then there is capital. The political composition comes before the technical composition; the technical composition is determined by political composition. But at this point there is an interesting twist. Tronti says that in fact labour power is potentially producing surplus value before the production process because on the labour market is stipulated an ex ante what will be the amount of labour and the wage; then it is already there, potentially, the surplus labour, the productivity of value ex ante. In this view, as long as there are wage struggles which have the wage rising over and above productivity, or when you have the refusal of work inside the factory, at this point, when the labour power become actually working class, you immediately have revolutionary struggles, antagonistic struggles. As long as the working class is there, there is already a revolutionary face to face against capital. Capital reacts with development; development extends from factory to society; giving way to a revolutionary vis-à-vis. I stop here for the second face. Actually there is a third face of Tronti after Classe Operaia, which closed in ’67, if I remember well, then the experience of Tronti is that of the journal Contropiano. When he was in Classe Operaia – [speaking to Tronti] I think you were outside of the Communist Party in part of those years [Tronti confirms], right? Right ... Then, in the years of Contropiano you go back to the Communist Party. The experience of this new journal, Contropiano, sees Tronti within the Communist Party. In this period there is a problematization of the intellectual structure that I told you before. This structure first saw the antagonism against capital, then the reaction of capital, with jumps in capitalist development; then this created a political recomposition of the working class. The idea of Tronti, and later the idea of Negri, is that the reaction of capital actually extends and unifies and homogenizes a stronger and stronger working class. The Tronti of Contropiano is more problematical. What is more problematic is that now the passage from workers struggles to capitalist development is not automatic. As Tronti said here a few minutes ago, “between the workers and capital I encountered the Politics”. The Tronti of Contropiano more or less saw that capitalist development after workers struggles is not automatic: capitalist development must be imposed to capital. Tactic and the Party are relevant again; we are on the way to the so called autonomia del politico (autonomy of the political). Here we can locate the distant origin of a forcing of this thesis later typical of Negri. Reading Marx’s theory of value politically, in the spirit of overturning that distinguishes operaismo, Tronti wanted to pose labour power first, capital second. From this it followed that capital was not only conditioned by labour power, but that the latter constituted the measure of value even before production. This occurred in the wage relation, where capital faced not the individual worker, but the working class, and therefore class conflict, that preceded, provoked and produced the capitalist relation. If in Tronti this leads to a sort of political measure of value, its definitive liquidation will be given thereafter, in the assertion that every human activity (and non-activity) is productive of value. Labour will be hypostasised in its presumed independent ontological reality, ‘naturally’ antagonistic, implicitly intrinsically productive of value before its inclusion in capital. And capital will be reduced to a merely reactive reality that lives increasingly by autosuggestion. Here not only the political composition of the class comes before, and determines, its technical composition, but the very power of capital is increasingly stripped down to nothing more than pure ‘command’. In the process it loses every object-like dimension, to the point where the capitalist subjective reply to antagonism simply unifies and homogenises labour (materially and politically), now simplified in the abstract figure of the ‘mass worker’ – with the illusion that capital, in the end, ‘works for us’ (an error that over time will transmute from tragedy into farce). The same methodological movement will be replicated again and again by Negri, from the ‘mass worker’, to the cyborg, to the knowledge workers, etc. The performative act still remains, but now increasingly akin to the postmodern way of constructing discourses upon discourses, of forced discourses upon forced discourses. The performative act still remains, but now increasingly akin to the postmodern way of constructing discourses upon discourses, of forced discourses upon forced discourses. Moving from the same trunk than Tronti, but along a different path, is Toni Negri, who proposes an original development of Marx’s theory of crisis that is brilliant, in its own way. Disproportionality and overproduction both depend upon changes in the conditions of valorisation that necessarily determine continuous upheavals within those exchange ratios that make equilibrium possible, giving way sooner or later to crisis: this is the Marx of the nineteenth century. The twentieth century opens with the October revolution, which translates into reality the risk that the struggle in the factory will transmute – once again, and immediately – into the struggle for power, spreading everywhere like wildfire. This process breaks up the class composition of the craft worker, giving life to the ‘mass worker’, through the production of that sequence Taylorism-Fordism which Negri (like nearly all of workerism) reads in a non-problematic way. In this way class decomposition is once again negated, because crisis and restructuring come to be indistinguishable from the development of capital – and the reunification of the antagonistic subject, which is the other side of the coin. The massification of workers in itself recomposes them as working class. Keynesianism is nothing more than the bourgeois attempt to translate the now inevitable autonomy of the class within capital into a stimulus for demand, fighting off the tendency towards stagnation connected to organisational and technological innovations. In the process, Keynesianism seeks to subordinate the independence of the wage to the goal of productivity, and so guarantee balanced and proportional development. Here, in Negri’s work of the seventies, we see the return of the theoretical-political centrality of the wage, seen as an ‘independent variable’ when it has been uncoupled from productivity. This occurs within the context of the transition from absolute to relative surplus value, seen (contentiously) as mutually exclusive. ‘Necessary’ labour, if understood in the traditional sense as production for subsistence, now tends towards zero. At the same time, the wage as an ‘independent variable’ instead maximises ‘necessary’ labour, here understood as the reappropriation of income separated from labour. Distribution is reduced to a mere relation of force. Wage struggles make the social relations of production explode, squeezing surplus labour. During the same period, some young followers of Sraffa, an economist to whom the same Negri refers in those writings, likewise called for an offensive on the wages front, imposing on capital the road of innovation in response to the profit squeeze. Certainly, though, the language, intentions and categories were far from similar. The passage matures from planner-State to crisis-State, when public spending becomes wage spending of the factory-State. Exploitation and perception of the wage reflect each other: the battle for higher wages, and also later the battle for a basic income, are for Negri simply an attack upon capital and the State. The capitalist response, which combines inflation with outsourcing, in reality sets the whole society to work. According to this way of seeing things, typical of Negri in the middle of the seventies, no substantial modification of the reality of the labour process was possible, only a deepening of the structure of command. A forecast which was falsified as soon as it was formulated. Having reached this point, it is clear that Negri – building directly upon foundations provided by Tronti himself – has given life, with undoubted visionary powers, to a workerism with strongly irrational characteristics, as Steve Wright himself indicates on a number of occasions. This is an operaismo that develops in a self-referential manner, almost without further relationship to the social reality it seeks to draw upon and express. Development, crisis, revolution are now the same thing. It is pointless to seek mediations, or to claim verifications of reality, in an idealist and subversive apparatus that is self-reproducing, and where reference to the concrete has no other function than to validate a purpose-built philosophy of history. To be honest, these flaws can be detected from the beginnings of operaismo. Classe Operaia judged as paltry the results of the struggles of 1962-63, when in actuality these bestowed some empirical validity upon the category of the wage as an ‘independent variable’ in distribution that led in turn to a violent reaction on the part of the system. 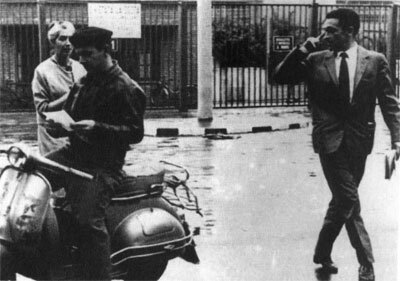 Potere Operaio forced the Hot Autumn and its aftermath into the straightjacket of a wage-centred vision, failing to see that the struggles of 1968-69 directly damaged levels of work output that the ‘restructuring without investments’ of the mid sixties had already stretched to breaking point. It is not surprising, then, that a few years later Potere Operaio failed to recognise the destructuring force against labour through which capital responded to class struggle within the sphere of production. This tradition actually doesn't see the crisis as due to struggle within the capitalist labour process as a crisis within the valorization; it sees the crisis mainly due to wages or immediately the refusal of work. In a sense, the labour process and workers and production are never really there in workerism. I admit that this is a very strange thing to say, but in fact what are there are the immediately revolutionary struggles, the fact that in capitalism, as the capitalism moves on, there is always the vis-à-vis of capital against labour or also the inclusion of labour. The normal life of capital is not there in workerism, they have actually the idea that what create the crisis the wage squeeze the profits (actually Tronti said this a few minutes ago). I think this was also factually wrong: what was really crucial in the crisis of Fordism - and in Italy this was especially true in the struggles from '68 to '73 - were not so much the struggles on the wage but rather the struggles on the way work was done within the factory. Then there was a reaction of capital, but this is the second limit of workerism: workerism was nor able to see the capitalist restructuring as something dividing the working class, deconstructing the working class. The reaction of capital was always seen as a kind of continual repetition of the game with the social subject every time stronger and stronger. This of course is not anymore Tronti, who decided quite cleverly not to take this road, this is of course is Negri, that jumped from the mass worker, to the social worker, to the cyborg, to the immaterial worker. There is never a deconstruction of labour. I am here with the few final open considerations. I'll quote a phrase of Tronti first in Italian then in English: "occorre rovesciare il problema, cambiare il segno, ricominciare dal principio". In English it would be more or less "The problem need to be put upside down, the sign to be changed, we need to begin again from the beginning". We have to go back to the analysis of workers as workers within capitalism, we have to go back to the hidden abode of production today, when the workers are not strong as the workerism had the luckiness to meet them in the Sixties, to go to the hidden abode of production now that the workers are weak in order to recreate, to reconstruct, the conditions of possibility for them to be strong again. The working class, in a sense very similar to Tronti, is not a given of nature, it is a result of the process of construction, of a social construction, not because in my view class conscience comes from outside, in Lenin’s fashion, but because of a process developed within itself in a trial and error way in which, of course, organization is crucial, not in the Lenin way, more, I would say, in the Luxemburg way. Tronti has always interpreted Luxemburg as a spontaneist, here I would rtaher refer to an interpretation of Luxemburg like the one that you can read in English by Rossana Rossanda in Socialist Register, in the article Class and Party, or along the line of a Trotskist author as Norman Geras in a very good book The Legacy of Luxemburg. Of course this is not an answer. It is a problem. A marxist historian, E. P. Thompson, wrote a book about the “making of the English working class”. In my view, we are now in the middle of “the making of the global working class”: the time studied by Thompson was a time in which the workers movement actually was built up starting not from strong, homogeneous workers but from weak, precarious workers. This is the task among us. I think that we must thank the work literature for the problems they raise but we must go forward. It is not their fault, after all, it is our responsibility.